The Maryland Democratic Party is putting their finger on the scale to help Billy Shreve win his State Senate primary in Senate District 3. This mailer hit mailboxes in Frederick County today. 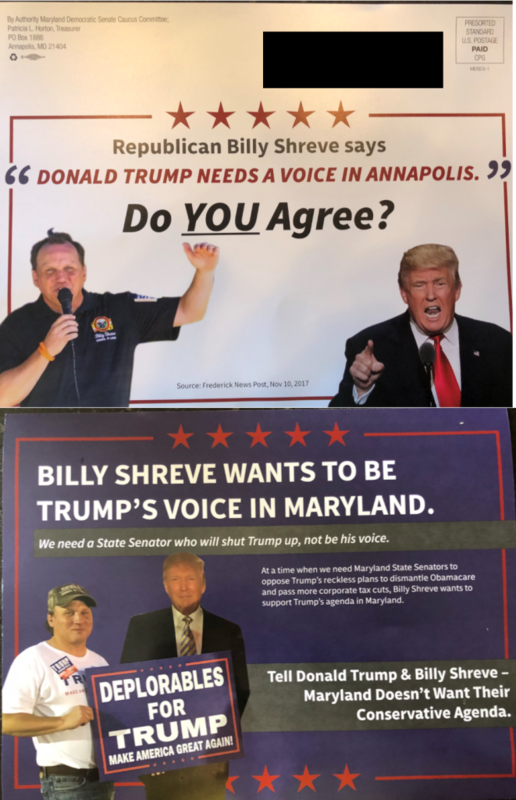 The mailer, paid for by the Maryland Democratic Senate Caucus Committee, is, in fact, a piece that is attacking Billy Shreve for being a Trump supporter. But the point of the mailer is not to get people in District 3 to vote against Billy Shreve. It’s designed to get Republican primary voters to vote for Shreve in the primary against Craig Giangrande. From what Red Maryland has learned, this mailer is being sent primarily to Republican voters. Shreve, the winner of Red Maryland’s 2016 Least Valuable Conservative Award, is a walking distraction who is more interested in getting his name in the paper and causing drama than he is being a conservative leader. Remember, this is the same Billy Shreve who openly talked of finding a primary challenger to Governor Hogan and tried to engineer a bizarre campaign finance scheme that ended up costing the state GOP money. The most important thing about Shreve thought when it comes to this race is the fact that he can’t win. He’s caused too much drama and been too much distraction to be an effective general election candidate. 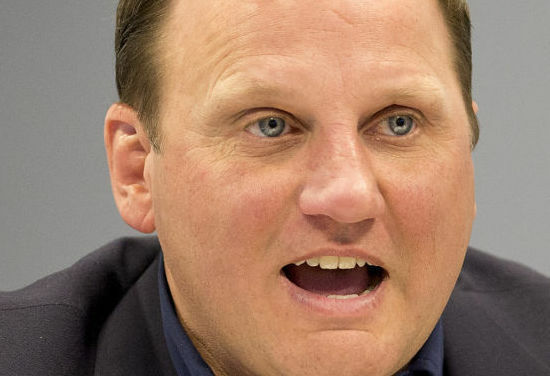 The Democrats have seen the scrum of a primary they have in this district, where incumbent Senator Ron Young is facing of against two even more leftist challengers. They have also seen the prodigious fundraising of Craig Giangrande, as well as the enthusiasm behind Giangrande’s campaign. Democrats realize that Shreve is an easy mark, and that by helping Shreve across the finish line in the Republican primary they will be able to virtually guarantee a general election victory in the 3rd District. Is the Democrats mailer dirty pool? Some would think so. But Democrats see an opportunity to ensure they get a beatable opponent in November. Which is why it is so important for you to support the candidate we endorsed, Craig Giangrande, in the upcoming primary.